Seward County Community College wrapped up two days of Sophomore Days with Liberal High School students on Thursday. 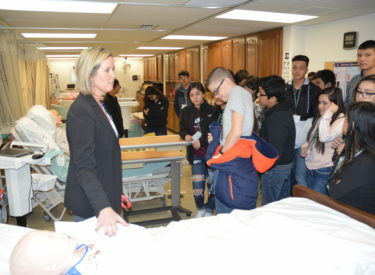 Over 300 students visited the college, receiving the opportunity to learn about the various career technical education programs such as agriculture, industrial tech, allied health and computer information. The students were given tours of allied health building, industrial technology campus, green houses and agricultural facilities and the main campus. LHS students can take certain SCCC courses free of charge while attending high school through SB155 which promotes CTE. The students were treated pizza and soda for lunch and afterwards some even got a chance to play volleyball with SCCC coach Thais Baziquetto-Allen!